If you’ve decided to go the private tutoring route, you need to do your due diligence in selecting a tutor that’s right for you, lest you waste precious blood and treasure on someone who’s the wrong fit, or someone who’s just a plain old charlatan. SAT tutoring is big business, and lots of people who aren’t exactly experts will be all too happy to take your money if you’ll give it to them. I trust that you know to ask the basic questions: the ones about availability, cost, frequency and length of sessions, etc. Here are, in no particular order, six less obvious questions you should ask a potential tutor before you sign on the proverbial dotted line. How many other clients do you have? A student-tutor relationship is very personal when done right, and if you’re going to pay this fellow the exorbitant fees he’s commanding, you want to know he’s going to be available when you need him, and that you’ll have his full attention when you’re with him. If he’s got fifteen other clients, he might be willing to take another one on, but you might want to consider looking elsewhere. What is your approach? There are countless philosophies about and approaches to preparing for the SAT, and you want to make sure that a potential tutor is a good match for you in that respect. Some tutors, for example, believe that the best way to improve a math score is to practice algebra incessantly; they take a strict, math-only approach. Others (like me) believe that you already have a math teacher every day in school and that you should approach the SAT a little differently. Different strokes for different folks, as they say. Make sure you and your tutor see eye-to-eye on this. When is the last time you took the SAT, and how did you score? There’s no law against an adult signing up for and taking the SAT, and a good tutor should have done so at least once after high school. You’d be surprised how many people think their experience teaching other things qualifies them to teach the SAT. This test is a different animal, and if you’re going to pay someone a lot of money to tutor you one-on-one, you want to be sure that person knows how to tame it. You’re looking for 2400s here, if you’re going to pay top dollar. Do you have your own materials? Some tutors write their own materials, and some simply tell you to buy a book and go through it with you. 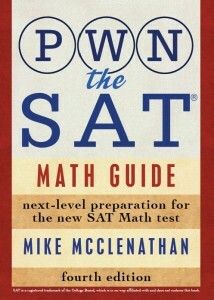 I, personally, write my own materials (many of which you’ll find on these pages) and supplement them with practice tests from the Official SAT Study Guide . If your tutor is just going to go through a book with you without adding much of her own insight, she might not be worth the money you’re paying her. How will you personalize your program for me? Every student is different, and a good tutor will adjust his techniques to fit your strengths and weaknesses. This could mean bringing practice problems to your session that he’s specifically picked out because of your performance on the last test you took, for example. If he’s going to give you the same cookie-cutter treatment he gives everyone else, you might want to look for someone who won’t. Can you supply me with references? Any tutor worth her fees will be able to back up her large price tag with a list of previous clients who were so happy with her that they’ve agreed to be contacted once in a while by a potential new client. Of course, this one is less important if you were referred to her directly by a friend, which might obviate the need for additional references. hey I don’t think these questions are enough. How will you ensure that what you teach will be remembered on test day?Do you think the SAT is a meaningful test? Great great questions for how to choose a tutor.